It's a short one today, as I'm in Portland. The theme is music. Charlotte was a flower in a delightful ballet version of the Wizard of Oz. I hope you take the time to watch this to the end. It's amazing! Here is the link in case it doesn't open on your iPhone or iPad. That was a unique way to start my day. Fun! I got to watch my grandtwins dance performance Saturday. Nothing like children on stage. Have fun at Market. I am really going to miss being there! Have a wonderful time at Market! Your parcel of fabric arrived today ! Makes up for not being there! Thank you Cindy , you are very, very generous! What fun! Thinking of you at Market and remembering the fun we enjoyed last year in KC! What a sweet little ballerina. She always has such a beautiful smile. What a lovely flower... and fun video! I'm such a nincompoop. 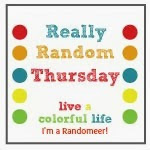 I never realized you had a button for Really Random Thursday. 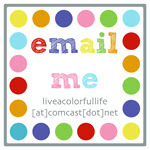 Added it to my blog. Sorry I didn't have it before! Just now had time to watch the video. Fun! How in the world can she be so big?...and BEAUTIFUL! !